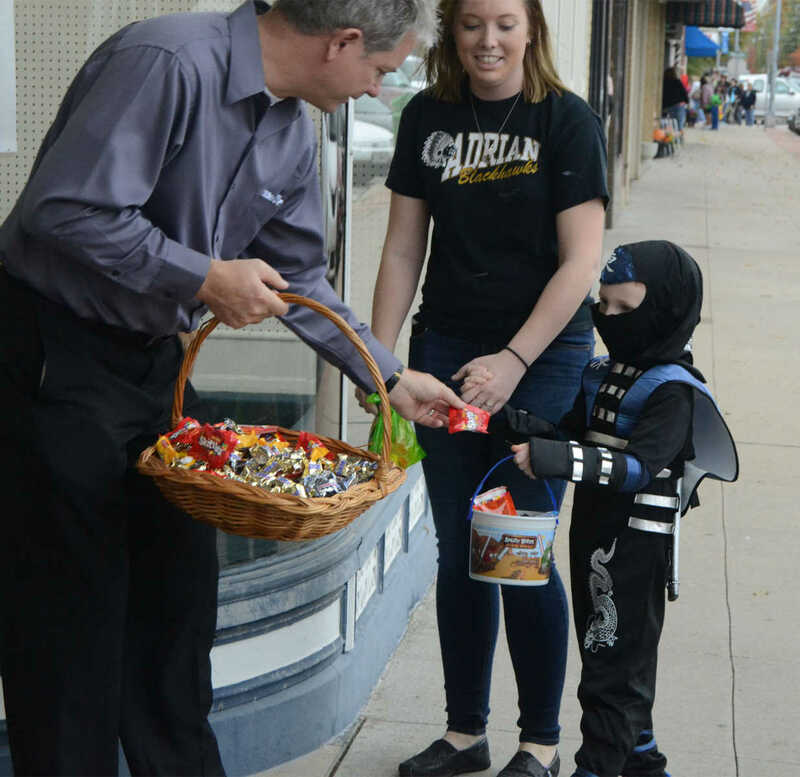 Kai Hubbard gets some candy during the Safe Treats Parade on Thursday. 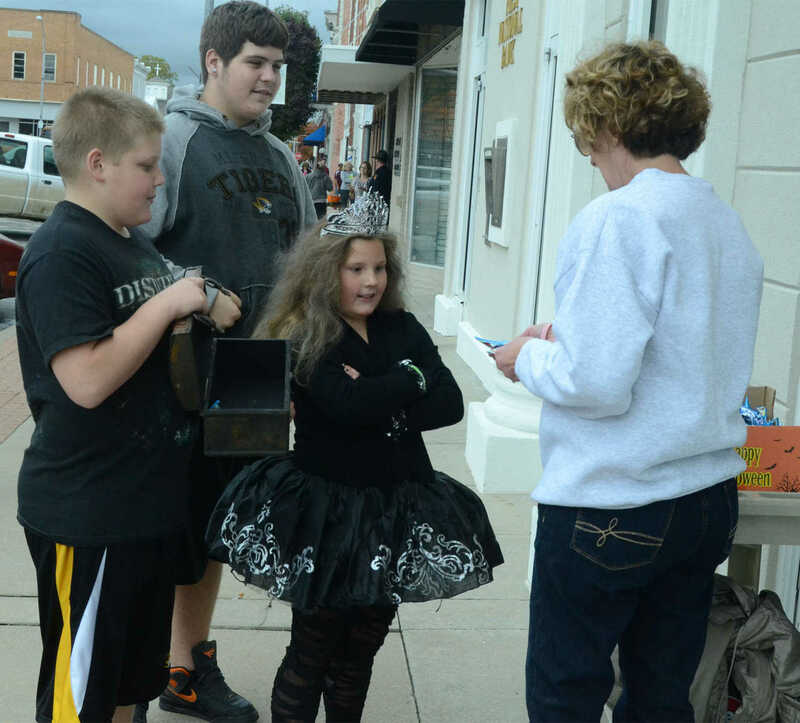 Olivia Satterfield, center, participates in the Safe Treats Parade on Thursday. 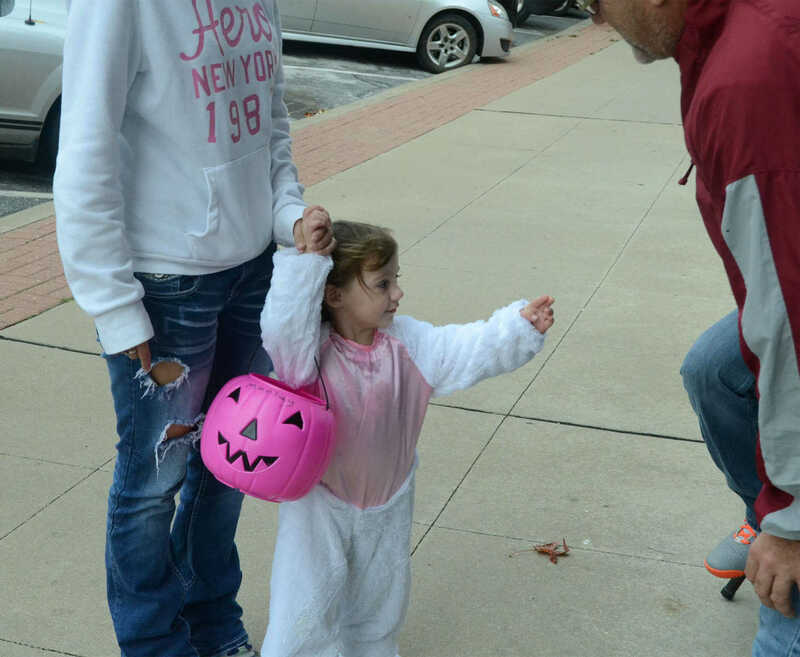 Marley Newport thanks the candy givers on the Safe Treats Parade on Thursday. 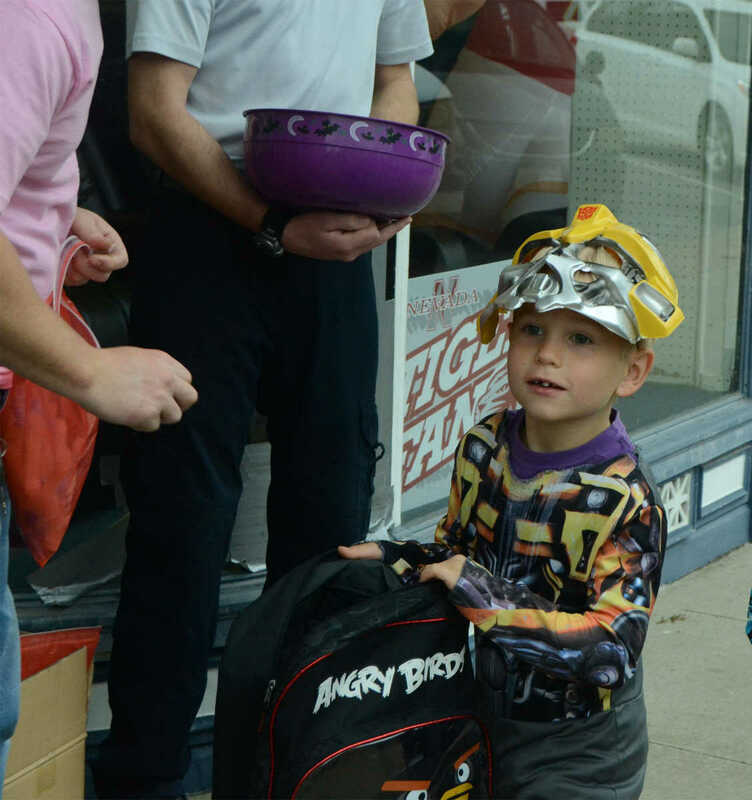 Ninja Chance Poulter gets some candy during the Safe Treats Parade on Thursday. 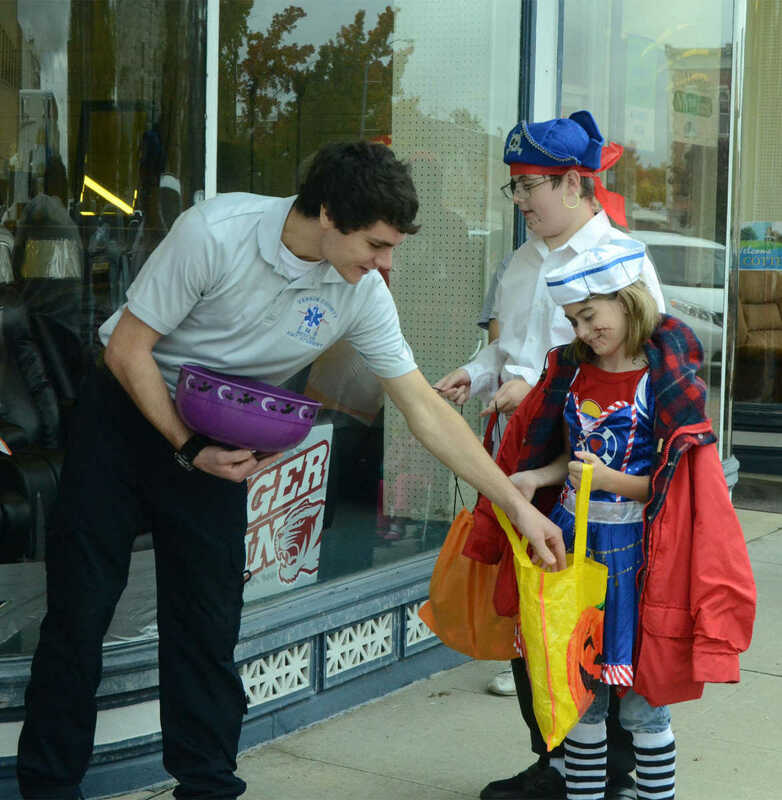 Pirates Virginia, foreground, and Levi Cox get candy during the Safe Treats Parade on Thursday.